Completely sold out. China iPad mini demand is off the charts with the 7.9-inch tablet unavailable pretty much everywhere over there. Moreover, Apple has reclaimed the top-selling smartphone crown in the Middle Kingdom following the release of the iPhone 5. Yep, everyone’s favorite fruit company owns Christmas, even in countries that don’t celebrated the holiday. 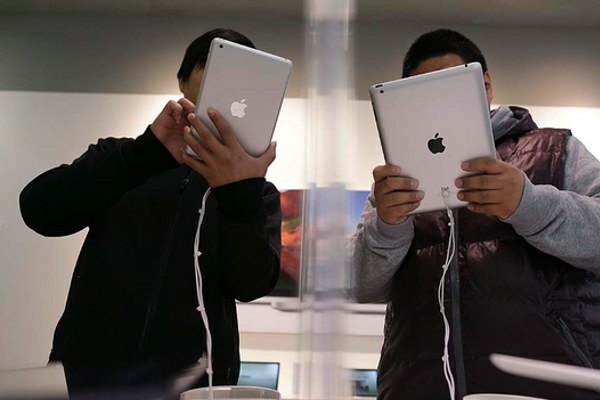 AppleInsider, quoting Topeka Capital Markets analyst Brian White, reports that retail checks in China and Hong Kong show that the iPad mini is sold out. White says Chinese consumer demand for Apple’s 7.9-inch tablet, which went on sale there December 7, is “insatiable” and he believes it is outselling the company’s recently updated full-size fourth generation iPad. Like in Western countries, prelaunch iPhone 5 rumors in China dampened Apple smartphone sales with consumers delaying purchases en masse. However, following its release there on December 14 — China iPhone 5 First Weekend Sales Top 2 Million — the Cupertino, California company can once again claim top spot in China’s hyper competitive smartphone market. “After the Galaxy S III and Galaxy Note I/II became more popular than the iPhone 4S in recent months, our discussions now indicate that the iPhone 5 has recently become the most popular high-end smartphone at the resellers that we spoke with,” penned the Topeka Capital analyst.